Football season is officially over. The Taco Bell seniors commercial was brilliant (click here to watch!!) and Beyonce proved she can dance like nobody’s business (loved the hair flicking and leather bustier!). 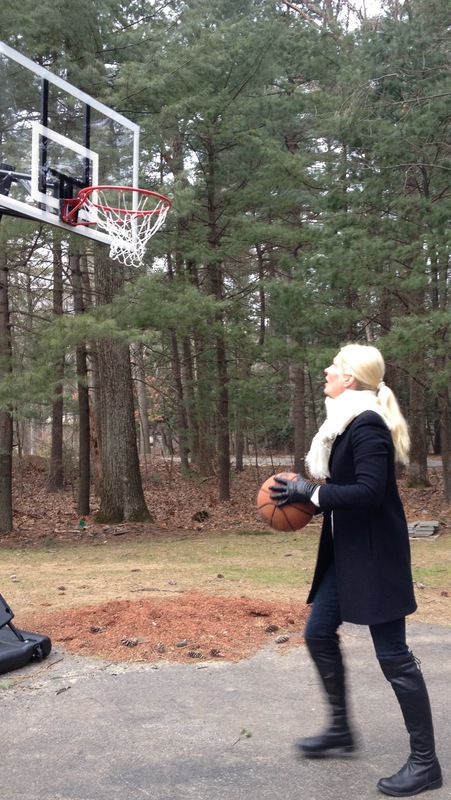 Leather Thigh High Boots and Basketball – that is where it is at now! Thigh High Boots are fab for many reasons – adds a phenomenal touch to the everyday jeans outfit, cankles be gone, & extends the life of both skinny jeans and leggings. SWISH – Nothin’ but net! Fiorintini & Baker boots, Chanel jacket, Neiman Marcus sweater, Gucci scarf, MOTHER jeans. This entry was posted in accessories, Art, children, Fashion, Media, Shoes, Shopping, Uncategorized and tagged basketball, Beyonce, Beyonce at Superbowl half time, Chanel, Fiorintini & Baker, Gucci, Mother jeans, Neiman Marcus, Super Bowl Commercials, Taco Bell seniors commercial by reversecommuter. Bookmark the permalink. Look at you! A fashionista playing bball in thigh highs and Chanel jacket! You go!